The IBL game is by far the most advanced, in-depth and realistic tabletop baseball board game available. The game was originally based on PTP, but contained several improvements. Best of all, the game is FREE! 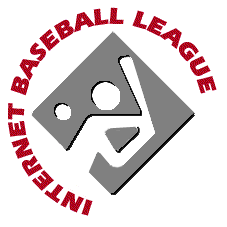 You can download and print everything you will need (except dice) to play the game for free from the Internet Baseball League Game website. Initially (1996), the IBL Game Design Team attempted to reverse-engineer the PtP game system. While the game was initially based around PtP, it is now a product distinct from PtP, with its own charts and rules. All one has to do is play this game once and you will find that this is the best table-top baseball simulation game available. The IBL continues to work on the game and it improves with every new set. If you are serious about baseball board games, this is the game to get. The IBL game is an advanced level baseball game. The very detailed game system results in a realistic and accurate game of baseball. In general, what works on a baseball diamond works in the game. The games include individual pitcher and batter cards for an entire baseball season. A full 9-inning game will take about 45 minutes to play. Overall, IBL is realistic, in-depth and fun to play.